The Acura NSX, the vehicle that made luxury driving affordable for everyone, first debuted at the Chicago Auto Show more than 30 years ago. It’s hard to believe – we know – but as Acura dealers, we have to tip our hats to this amazing vehicle that has been one of our longest-running customer favorites. At this year’s Chicago Auto Show, we got a great reminder of how far the showstopping Acura NSX has come, and we’d be lying if we said we didn’t have some sentimental feelings about it. In 1989, we saw a red, mid-engine vehicle that could only be described as exotic at that time. Acura stepped forward as more than a luxury brand; an icon in the automotive industry. This model introduced the US market to VTEC (Variable Valve Timing and Lift Electronic Control). The Acura NSX was also the first production car to be built on an all-aluminum monocoque chassis, which gave it the nickname of “supercar.” The interior of this model has always been spacious and comfortable, and it’s gotten better every year since then while retaining the same beloved interior layout. “Before NSX, it was always assumed that supercar performance came at the price of a comfortable interior and everyday drivability,” said Jon Ikeda, Vice President and General Manager of Acura. “NSX shattered those notions, and raised the bar on every other exotic and supercar maker, with the effects still felt today,” Ikeda said. The 2019 version of this classic Acura car just might be the perfect fit for you, and we encourage you to consider it among our favorite new Acura models. While we don’t have this new model yet, we expect to see it soon! In the meantime, we will gladly help with all your automotive needs at our Acura dealership near Long Island. 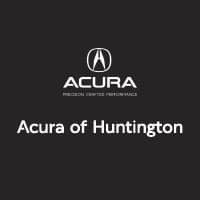 Come by and see us at Acura of Huntington today.